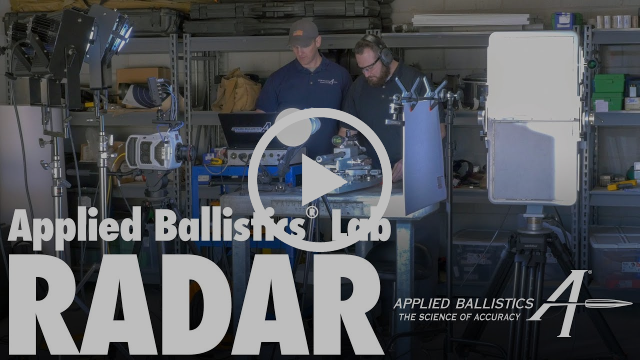 In this video Bryan Litz, a highly regarded ballistician for Barnes, resents his use of Doppler radar. Background: The application of Doppler radar systems to collect precise external ballistic data was pioneered by Infinition Inc of Trois-Rivieres, Quebec, Canada. The company developed a device marketed as LabRadar . The system has an operational range of 100 yards and accurately measures the velocity of the projectile along its path. By collecting velocity with a high degree of accuracy it is then possible to determine things like ballistic coefficients. Extremely useful tool to accurately asses new bullet geometry design. This entry was posted in Ammunition, Sniper Systems and Tools and tagged Applied Ballistics, Bryan Litz, Doppler, radar. Bookmark the permalink.